When your child isn’t feeling well or suffers an injury, it’s important to see your family physician right away. Dr. 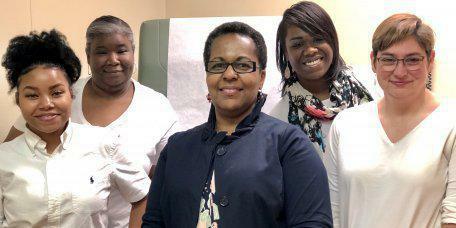 Crystal Brown and her staff at Brown Family Practice provide the highest quality of pediatric care in the Fort Valley, Georgia, area, from vaccinations to acute illnesses and injuries. To learn more or schedule a consultation, call the office or request an appointment online. Pediatric care is the health care that your child receives to ensure their physical, mental, and social well-being. While you may know the basics of taking care of your child, it’s important for children to get regular checkups with their healthcare provider. These visits are a chance to check up on your child's development and see if they need any immunizations. They’re also a good time to catch or prevent any problems. How often should my child visit the doctor? When your child is first born, they’ll need to see the doctor pretty often for well-baby visits. However, after the 12-month mark, the recommended frequency of these visits goes down to either every three or six months, depending on your practitioner. Then, after your child turns three, visits to the doctor are usually scheduled yearly throughout their teen years. How can I help my child stay healthy? Along with regular visits to the doctor, promoting nutrition and fitness is the best way to make sure your child stays healthy. To give your child a head start on lifelong fitness, you can encourage your child to participate in sports or other kid-friendly physical activities. You can also help your child stay healthy by encouraging them to eat a variety of healthy foods and control portion sizes. Learn which vitamins and nutrients are necessary, in what amounts, and how the guidelines change as your child grows older. When is my child too sick for school? Does my child have a fever? If your child has a fever of over 101 degrees, it’s usually a sign of illness, so your child should stay home. Will my child be able to participate in class? If your child seems too fatigued or rundown to get much out of being in the classroom, you should keep them home. Does my child have a contagious illness? If you think your child might have something contagious such as pinkeye or the flu, don't let them go to school until you know they're no longer contagious. If you have any questions about your child’s health or need to schedule a checkup, call Brown Family Practice today or request an appointment online.